This is a great recipe for the family. My ajebutters eat bulgur. 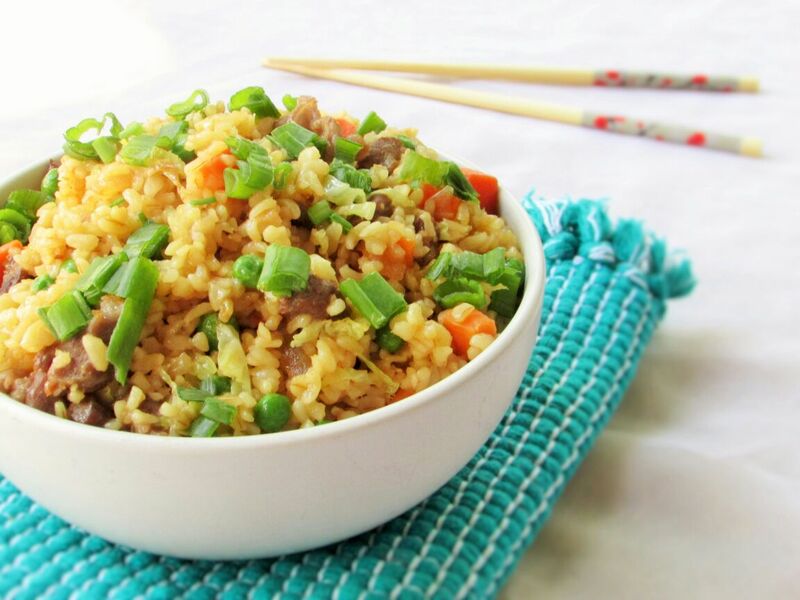 They call it “the other rice” You may even use a variety of vegetables. Trust me, it is quite versatile. I remember the first time I made my ajebutters bulgur, they made faces and looked at me with the “woman you are crazy” look on their faces. I just smiled and after another try, they got used to it. 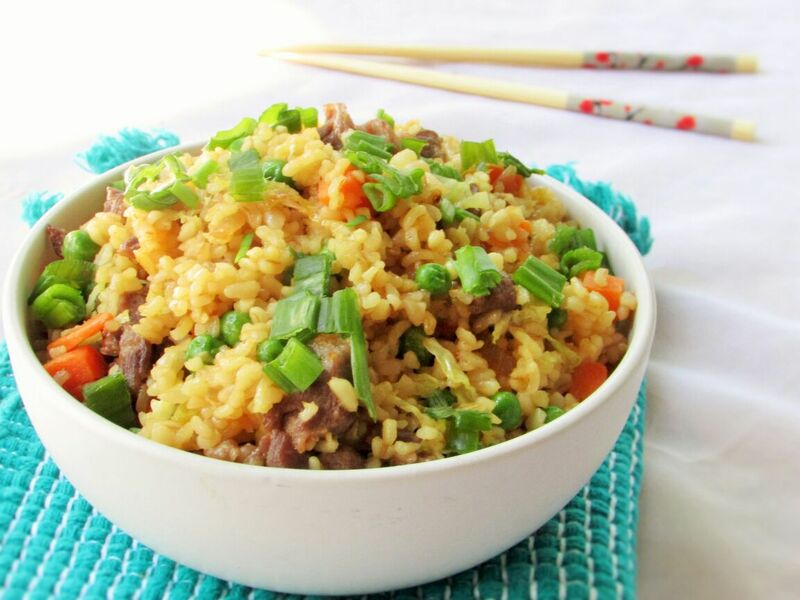 season the beef with salt, ½tbsp of soy sauce and the corn starch and set aside in the refrigerator for about 30minutes. To stir fry: heat1 tbsp. of the coconut oil. Stir fry the beef on high heat until cooked; then drain on to a paper towel. Pour in the remaining coconut oil; add the onions, sauté until almost translucent. Add the garlic and ginger; sauté until fragrant. Add the mixed vegetables and cabbage if using any. Stir well and add the soy sauce and fish sauce. add the bulgur grain in little increments while quickly frying on high heat. You want your vegetables to remain crunchy by the time you are done cooking. Add the beef and mix in along with the green onion. Add more soy sauce if you desire and season with salt to taste. 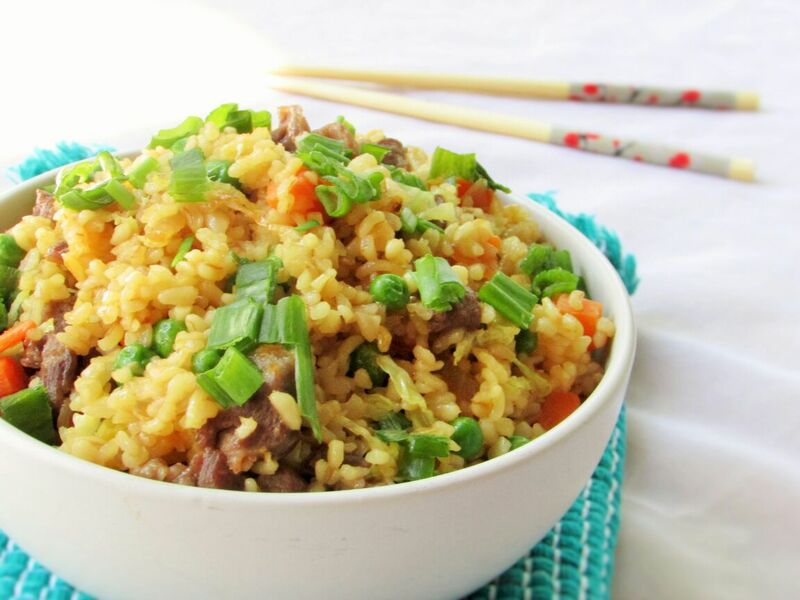 This entry was posted in Bulgur, Bulgur Recipes, Bulgur wheat, Healthy Nigerian, Healthy Nigerian Dishes, Jollof Bulgur, Stir fries, Stir Fries, Stir fry, Uncategorized and tagged bulgur grain, Bulgur recipe, Bulgur wheat, bulgur wheat recipe, Stir fried bulgur recipe, stir fried rice. ← Garlic And Shrimp Pasta. Whip Out The Spaghetti!